Laravel has a number of useful little make commands. These allow you to generate a new class based off a template but how easy is it to make your own command to do this? Not too surprisingly this is actually really easy but it isn’t something you’ll find documented. This will have then created a new command class in the app/Console/Commands/Make folder, if everything worked then we should have a MakeClassCommand.php file there. We now need to customise our command to make new classes. The first part to this is to extend the Illuminate\Console\GeneratorCommand class instead of the default Command class. 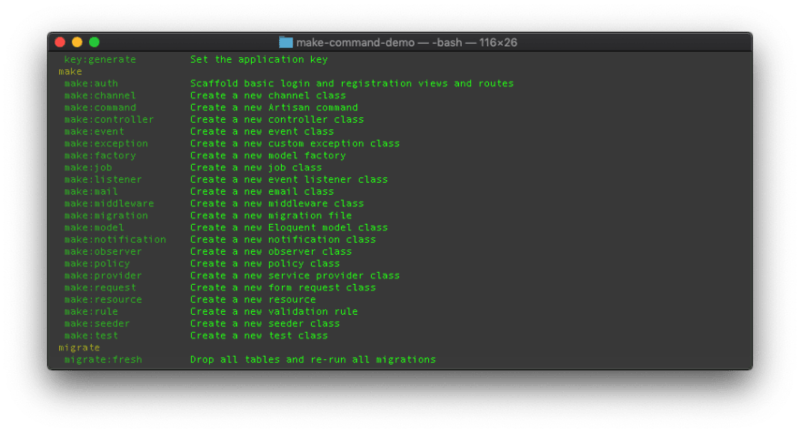 This is a class in the Laravel framework which all the make commands inherit from. This reduces the work to only editing a adding a few methods and properties. We can begin by removing the handle method and the constructor methods along with the signature property, we won’t need these as the GeneratorCommand class already has them. And then our command would put it under the app/Controllers folder. The other method we can add is getStub() which provides a file path to our template class file. Now if you’ve dug into the Laravel framework before, these templates are normally stored in the namespace inside a stubs folder but I personally feel this is a bit messy so instead we’re going to adds a stubs folder to default Laravel resources folder, resources/stubs. 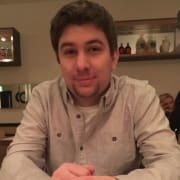 You might ask, why DummyClass and DummyNamespace? Well this is because they are both placeholders that the make command will swap out when creating the new class. Now we can go back to the artisan command and see the command in the console as well as create a new class with it. We should now end up with the following file located at app/ExampleClass.php. If you need to do more complicated things with your make command you can do so by overriding the inherited buildClass method of the GeneratorCommand class. I won’t cover this for now but potentially will in a further article. With this in mind you can really start to make your own Make commands which is a great way to simply tasks if you find yourself making Class files over and over again, it’s also a really good practise if you’re making a package for Laravel that will require the developer to make new files that conform to a particular pattern or workflow. If you wish to view the end result as a code repo you can find it on GitHub.